Replaced by the Yealink W40p. See our Vanilla Voice page for all our VoIP services. Dual 10/100 Mbps network ports with integrated PoE allow for extended network use. 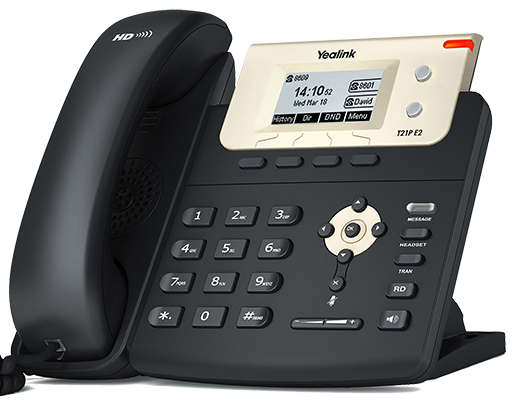 The T21P E2 supports two VoIP accounts, simple, flexible and secure installation options, plus support for IPv6. As a cost-effective and powerful IP solution, the T21P E2 maximizes productivity in both small and large office environments.